Digital money: Why 85 percent of transactions still involve cash. Electronic forms of money won’t dethrone it any time soon. Probably not coming to a bank near you. 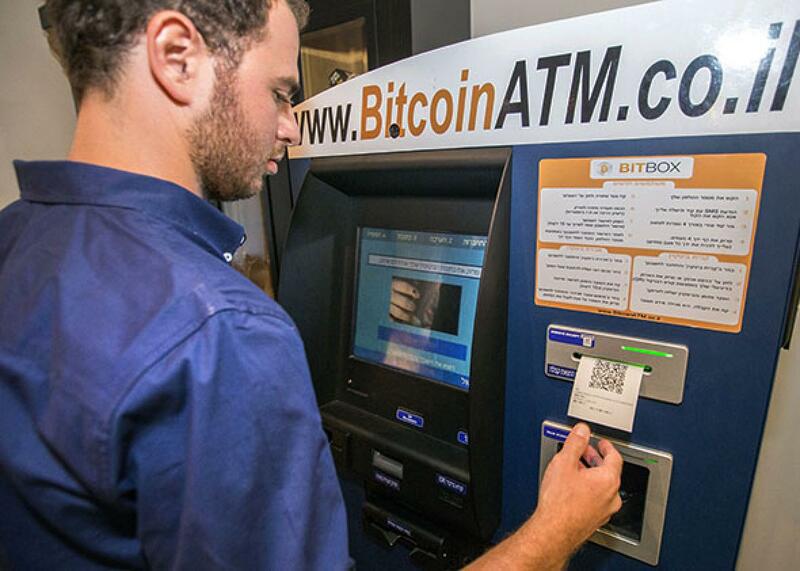 Above, an Israeli man buys bitcoins at a bitcoin ATM in Tel Aviv, on June 11, 2014. They said it was imminent. They said so two decades ago. But I am still waiting for a truly fast, reliable, and safe form of money for people—all 7 billion of us. So many other things that were once unimaginable to us are now true: We can connect with anyone on the planet almost instantaneously—to talk, see each other over video, and send pictures of our cats and dogs, even kids. But if we want to move a penny, or 10 rupees, it is no longer a brave new world, not even close. It’s virtually impossible for someone to easily transfer money to another at a low cost, unless both parties are physically present at the same place and same time. Not so, you may protest. We have Apple Pay, PayPal, Google Wallet, MasterCard, Visa, M-Pesa, bitcoin, and hundreds of alt-coins spawned by bitcoin, all of which claim that they will dethrone good old-fashioned cash. But not so fast. Despite all the hype around the supposedly new-fangled digital alternatives to money, these remain either expensive or inconvenient. Credit card companies charge retailers 2 to 3 percent of any transaction, which we’re all paying for in the form of higher prices, passed on by merchants. Direct withdrawals from bank accounts are cheaper but have traditionally taken a long time to clear, sometimes as long as a day. The drawbacks of these digital alternatives are evidenced by the resilience of cash. Eighty-five percent of all transactions globally (and 40 percent in the United States) are still carried out using cash, particularly transactions involving small amounts of money. There are good reasons why that is the case. Cash is convenient. Cash is private. Cash is intuitive. Cash does not incur explicit transactions costs. And yet cash is also cumbersome to carry and store. It can be stolen and forged, remains uninvested and usually loses purchasing power over time, and, most importantly, cannot be transferred easily across large distances. And so, there is a pressing need for a digital currency that works. If you are a cryptocurrency enthusiast, you are probably reading this with great impatience, eager to get to the discussion of how bitcoin and its alternatives are the answer. Cryptocurrencies, which are digital, encrypted currencies that operate independently of a central bank, are almost costless to move instantaneously, offering both privacy and security. I am also a cryptocurrency enthusiast. But I am not ready to declare victory. At least, not yet. Money attracts both fraud and regulation. And uncertainty. Financial regulators are conservative, wary of any new technology that is easy to use and accessible, unless it be proven completely fraud-proof (an impossible standard). And so, regulators are overzealous in clamping down on innovation. They will reflexively (and absurdly) invoke “know your customer” regulations and “anti–money laundering” requirements every time someone proposes something new. It’s as if regulators never want to hear the benefits that might come from financial innovation, however much they might offset any potential downside. But someone who designs a faster car should not be prevented from manufacturing and selling it lest thieves use it to get away after robbing a bank. We need to rely on other means of deterring crime. When we discourage innovation and proliferation of convenient, secure, and costless digital alternatives to money for fear of money laundering and related crime, we are continuing to disenfranchise nearly 3 billion poor people in the world who would benefit the most from the financial inclusion that frictionless digital money and payments will generate for them. Here is a concrete example. Imagine that a woman working as a day laborer in India earns 100 rupees on a given day. She may go to a grocery store on her way back home to buy goods worth 80 rupees. If technology made it possible for her to deposit the remaining 20 rupees (which is only about 30 cents) immediately in an account that earns interest or put it immediately in an investment that is expected to grow, without incurring any transactions costs, this could transform her life. Even “small” transactions costs of 5 or 10 cents per transaction would induce her to keep the money in the form of cash, which would not only fail to grow, but may be spent in an impulse purchase by her husband or children. Similarly, a migrant worker should be able to send money he or she earns nearly free of transaction costs to the family that may live in a different city, or even a different country. Nearly $600 billion of such remittances are currently made across borders. And they are expensive, outrageously so. Nearly 7 percent is lost in intermediation. How about services such as the mobile phone money transfer business M-Pesa, which is ubiquitous in Kenya? Given the lack of banking alternatives that exist in many African countries, M-Pesa services have deservedly received attention and acclaim from media, policymakers, and global development advocates such as Bill Gates. But even services such as M-Pesa have high transactions costs. Given the revolution in communication technologies, and how they’ve transformed so many nonmonetary domains, it seems reasonable to demand that in the near future we do away with most everyday transactions costs, which are unnecessary. We should shoot for one- or two-tenths of a percent as an acceptable fee, whether we are seeking to pay with our Apple Watch at the corner deli or seeking to pay for a meal in rural India. First, financial institutions need to abandon the stupid idea that every transaction, no matter how small, must be verified. Every time I buy a cup of coffee using some form of electronic money, the retailer need not check with Visa or my bank if I have money or I am credit-worthy to be offered an implicit credit of a few dollars. Such verification should happen infrequently, only when the aggregate amount in question has reached a large predetermined amount. After all, most people have reputation capital these days; in our increasingly interconnected world, even sellers on eBay from far-off places like Guangzhou in China can be “trusted” given their reputation scores. Second, the new digital money needs to feel simple, intuitive, and easy to use in even the most illiterate parts of the world. You often hear experts advocating financial literacy and educational programs to “teach” people how to use new technology-based money. But the most effective adoptions happen when people learn by imitation. So, this electronic money must become ubiquitous. People should see it being used by rich and poor alike and in developed and developing countries in essentially similar ways. No one offered cellphone literacy classes or programs when the technology was introduced, but cellphones quickly went from being aspirational objects to being widely adopted as the costs fell sufficiently low. Now more people use cellphones than toilets in the world. In the same way, electronic money is likely to grow when middle-class consumers start using it regularly, even when transacting with the poor. Lastly, the dream of the libertarian cryptocurrency enthusiasts that money will become totally anonymous, far from the reach of the government and inept regulators, is not practical. We want technology that empowers individuals, but we need shared institutions such as the courts and regulators that protect people and the integrity of the currency being used. After all, 7 billion people aren’t going to make the transition purely on faith.